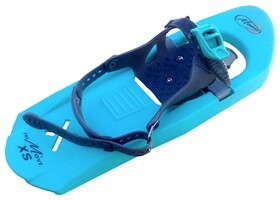 Snowshoe with FLEXIBLE Binding, 1 RATCHET Snowboard Type TOE strap and 1 RUBBER PADDED Heel STRAP. 2nd generation of snow TRIMARAN 3D patented TRIMOVE KID shape: 7% more floatation surface, outstanding morphologic traverse grip, Easy walk forward hull tip. Technical. Very good foot maintaining with big comfort. 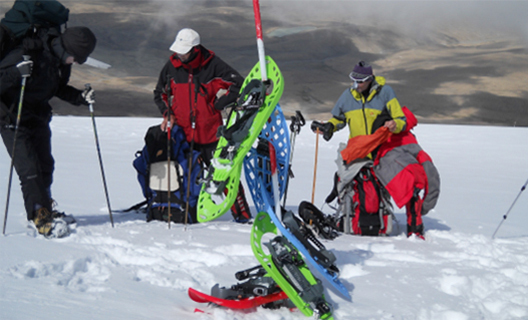 Ideal for ALL terrains.